The Community Health Centers Fund expired Oct. 1. It accounts for 70% of all federal grants for community health centers. As America's largest primary-care network, CHCs are crucial for many of America's most medically underserved children and families, especially those living in rural areas. Unless Congress acts, these drastic cuts will negatively affect millions of children in every corner of the country. Congress' unwillingness or inability to act brings an existential threat to effective programs universally lauded by both Republicans and Democrats—programs located in rural and urban communities, and ones that bridge the gap between having health insurance coverage and obtaining access to care. For the network of Children's Health Fund-supported programs, CHCs accounted for about 67% of children served and almost three-quarters of our total clinical encounters—all told, more than 160,000. According to the National Association of Community Health Centers, more than 10,000 CHC delivery sites in the U.S. serve about 25 million people. Expansion of funding for CHCs was championed by the administration of President George W. Bush, and the program continues to enjoy bipartisan support. But Congress' indecision has led to what NACHC calls the "primary-care cliff"—a potential 70% drop in funding to health centers. The more time that's spent without a positive resolution, the more worrisome for many Children's Health Fund programs. According to one of our medical directors, continued delays in reauthorizing funding for CHCs lead to a situation where "everyone loses." There are only two ways that CHCs could work with a significant budget cut: reducing services or closing clinics. The NACHC has estimated that up to 2,800 service sites would face closure without full reauthorization. Medical directors and administrators in the Children's Health Fund's network are increasingly concerned about what might happen if the funding isn't granted, and they have started to draft contingency plans that include re-evaluating their growth strategy, slowing employee recruitment, and carefully examining services that could be cut. Programs serving similarly underserved populations are doubtless in the same position. "Our fiscal year begins in January, so we would be in the first batch of programs affected by these cuts," said the director of one of CHF's biggest community health centers. "A discontinuation of 70% of our funding would translate into losing a third of our operating budget." The financial uncertainty is having far-reaching consequences. Banks, for instance, are re-evaluating their willingness to extend lines of credit to CHCs as the prospect of a significant loss of revenue makes it a riskier proposition. Reimbursement of healthcare services from the government or insurers can take a long time, so without access to cash, CHCs face not making payrolls or worse. The most severe consequence of congressional inaction on this issue is its impact on children, particularly those in rural communities. CHCs are often the only healthcare providers in rural areas, and the clinics, many of them mobile, are a lifeline for consistent health services for many Americans—serving over 7.5 million children in 2015 alone. If these clinics close, not only would children miss out on services ranging from comprehensive primary care to management of acute and chronic illnesses, but the economic viability of entire communities would be jeopardized as thousands of jobs are lost. The solution to the host of scenarios listed above is simple and bipartisan: Congress must act immediately to extend funding to community health centers to avoid the "primary-care cliff." Every day that passes without this authorization is a missed opportunity to ensure children and families get the healthcare they need to stay in school, stay at work, and lead productive lives. 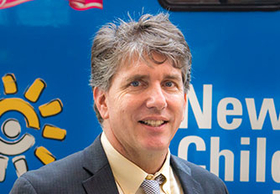 Dennis Walto is CEO of the Children's Health Fund.